and How Does it Help Teachers and Students? Because of economic and social changes, students are facing some unique challenges and opportunities as they prepare to make their transition from high school to adulthood. Since IDEA became law, Special Educators also became Transition teachers, whose goal is to guide students towards learning the necessary academic and functional (life) skills to become happy and successful adults. An important part of that process involves guiding students from being uncertain about their future to being active participants in identifying and reaching their meaningful postsecondary goals. 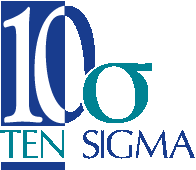 At Ten Sigma, we believe educators are instrumental in shaping the lives of their students and that they're doing amazing work every day. Because we share that vision, we created a student-centered curriculum called the Starting Line. This program helps teachers to continue meeting important compliance requirements while helping their students to make a successful transition to adulthood. Teachers and administrators tell us their number one goal is preparing students for success after high school. Unfortunately, they also frequently tell us that has become more difficult with all the academic and compliance requirements that educators are faced with. In fact, many educators have left the profession because they felt they were no longer able to teach students what they needed to succeed. Because of this information, Ten Sigma developed the Starting Line approach to Transition, so educators across the country would have a “blueprint” and resources to help their students. You're about to discover a simple process that ensures teachers are meeting Transition compliance requirements while empowering and guiding students to take ownership for their success. The Starting Line program consists of two student workbooks called Foundations and Fast Track. In each workbook, the student or young adult is guided through a series of assessments, activities, and tasks. 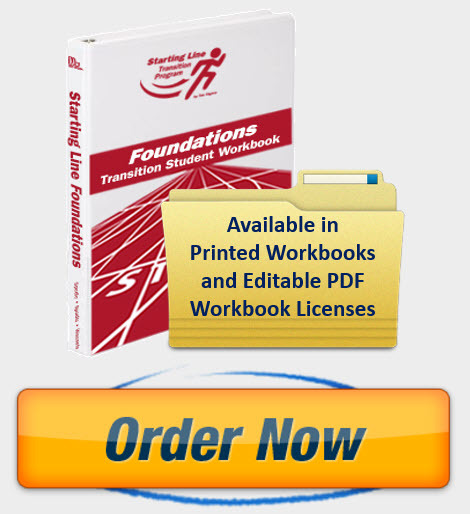 Both workbooks are available in print and in editable PDF through our license program. Below, you will find a short video explaining more about the program, ways to download a free program overview, and order information. Ideally, students are best served by beginning with the Foundations workbook as an introduction to Transition followed by the Fast Track workbook as a comprehensive program to identify and acheive their goals. These workbooks can be implemented as “stand alone” Transition curriculum or used in a holistic approach covering numerous years for teaching Transition. 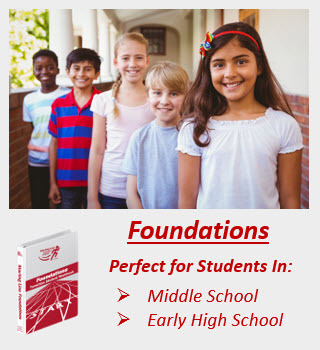 For districts or teachers looking for an introductory Transition curriculum for middle school and early high school students Starting Line Foundations is a perfect solution. 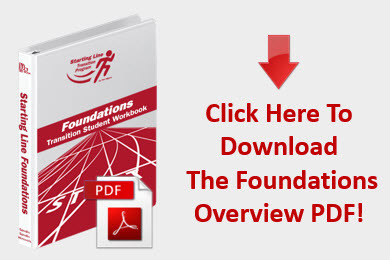 Implementing the Foundations program is easy. Purchase one consumable Foundations workbook for each student who will participate in the program. 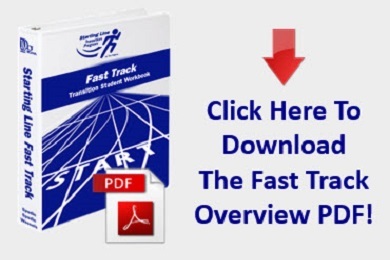 For high schools, alternative schools, corrections programs, or 18 – 22 year old programs looking to implement a comprehensive Transition curriculum, Starting Line Fast Track is a perfect solution. Implementing the Fast Track program is easy. Purchase one consumable Fast Track workbook for each student who will participate in the program.